SAN DIEGO - Kenta Maeda pitched effectively into the sixth inning and Matt Kemp, Logan Forsythe and Chris Taylor each delivered an RBI single as the Los Angeles Dodgers topped the San Diego Padres 4-2 on Wednesday. 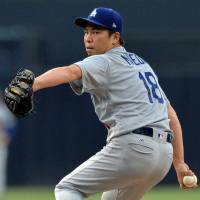 Maeda (6-5) won for the first since June 25 as the right-hander allowed a run and four hits over 5⅔ innings. He had nine strikeouts and a walk to help Los Angeles defeat San Diego for the eighth time in 12 meetings this season. 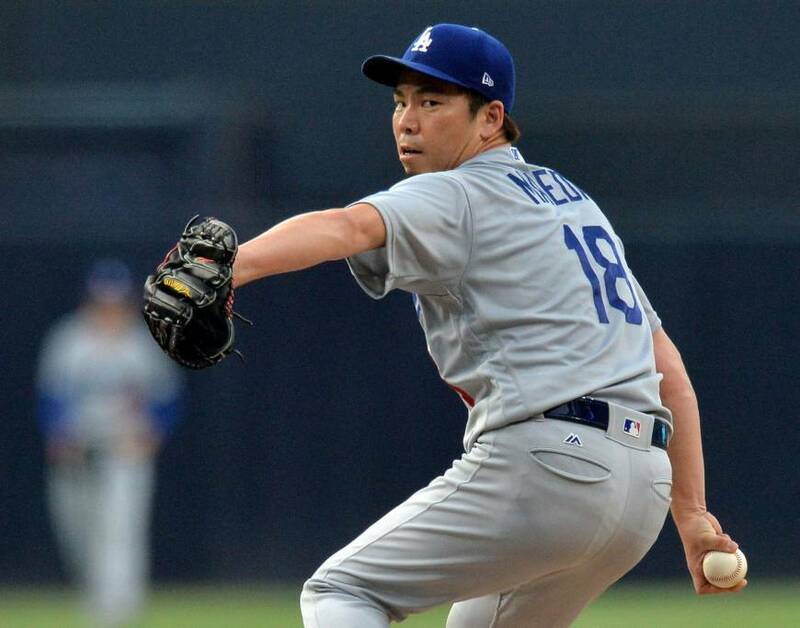 It was Maeda’s second start since coming off the paternity list. In his last nine starts, Maeda has a 1.97 ERA with 61 strikeouts in 50⅓ innings. “I’ve been able to use (the changeup) effectively and I’ve been able to get a lot of punch-outs with it,” Maeda said through a translator. In San Francisco, Buster Posey caught 13 innings and then singled off the right-field wall for the game-winner. In Baltimore, Greg Bird hit his first career grand slam to back a dominating pitching performance by Sonny Gray. In Boston, Chris Sale struck out 12 in seven innings of shutout ball. In Cleveland, Jose Ramirez homered twice and drove in five runs as the Indians pounded Cincinnati. Ramirez hit a two-run homer in the first inning off Tyler Mahle (7-7) and connected for a three-run shot in Cleveland’s nine-run third. In Denver, Colorado right-hander German Marquez homered against Arizona infielder Daniel Descalso in a rout. Diamondbacks reliever Yoshihisa Hirano yielded four runs in one-third of an inning. In Miami, the Brewers went 3-for-16 with runners in scoring position. In Pittsburgh, Trevor Williams combined with four relievers on a five-hitter. In Anaheim, Marco Gonzalez pitched seven sharp innings and David Freitas belted his first major league home run. In Minneapolis, Brian Dozier delivered a two-run homer for the hosts. In St. Petersburg, Florida, C.J. Cron’s three-run shot in the seventh carried Tampa Bay to its fifth straight win. In New York, pinch hitter Brandon Nimmo launched a three-run homer in the 10th. In Chicago, Carlos Rodon pitched three-hit, shutout ball into the eighth inning to outduel Luke Weaver. In Atlanta, Ozzie Albies snapped the Braves’ power drought with two homers. In Houston, Chad Pinder bashed a three-run homer and Khris Davis had three RBIs for Oakland.